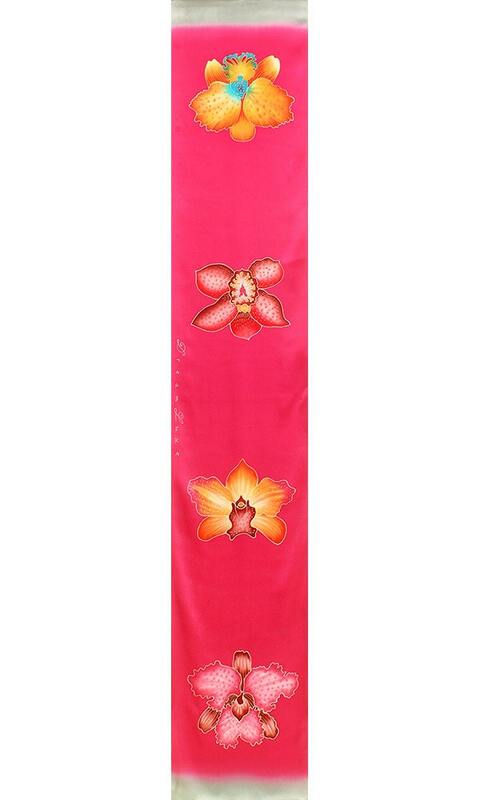 Elegant Hand painted silk scarf with four beautiful and colorful orchid with a pink background. 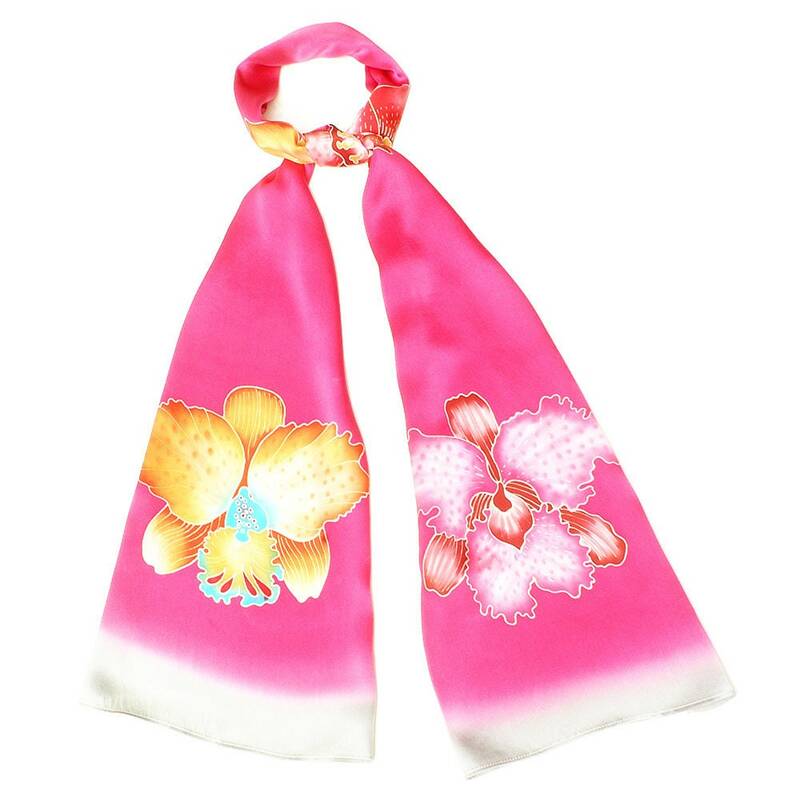 This luxurious silk scarf is a work of art designed and painted by the artist. 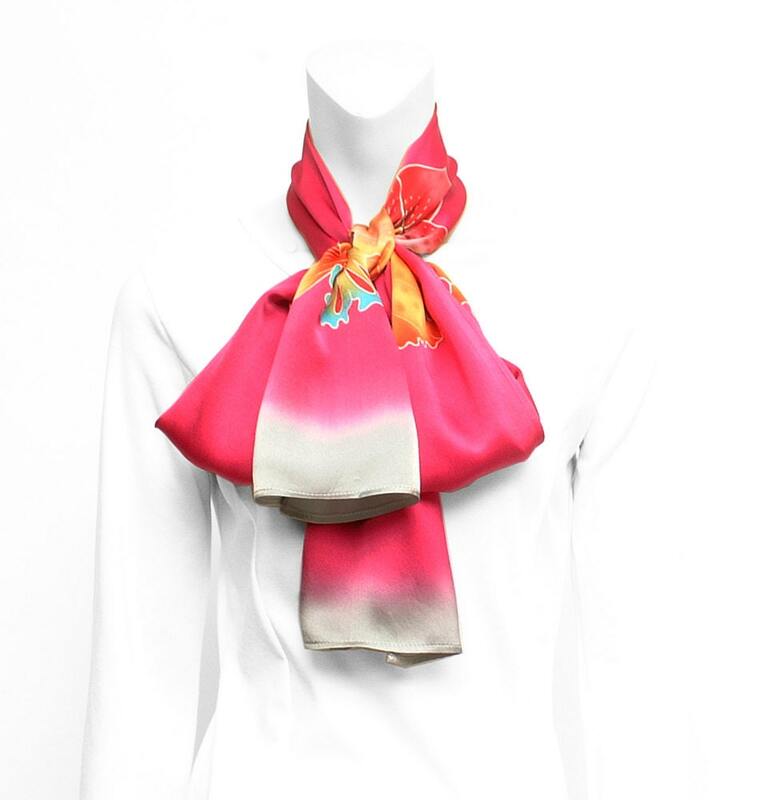 It will make an unforgettable one of a kind gift to anyone that loves luxurious wearable art. 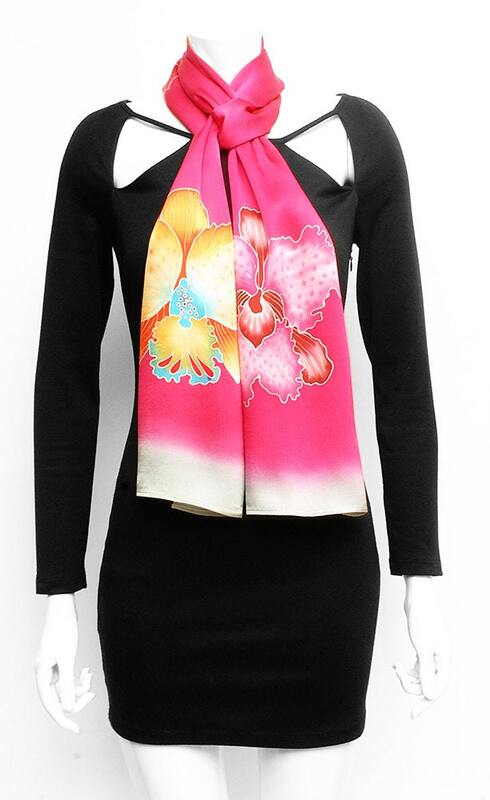 Perfect for your wife, girlfriend, best friend or for yourself. Authentically hand painted using the ancient traditional technique of Batik. 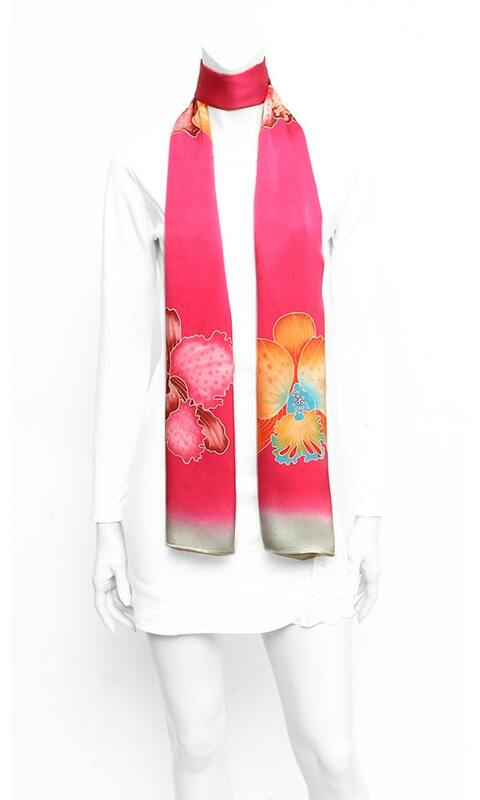 Batik is a technique of wax-resist dyeing. It took 4 day to create this wearable work of art.